Mobile Satellite Service (MSS) is a type of mobile telephone service that depends on portable terrestrial satellites rather than fixed terrestrial satellites that are also known as cell phone towers. Portable terrestrial satellites are similar to cell phone towers, but can be mounted on moving vehicles such as cars, ships, and airplanes, and individual users can even carry them. 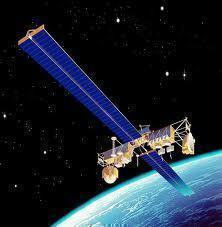 Mobile Satellite Service is not as common as GSM (Global System for Mobile Communications), but is frequently used for its global reception. 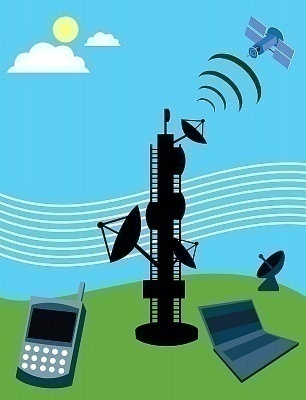 Mobile Satellite Service involves the use of small, portable cell phone transceivers that are able to both broadcast and receive all nearby cell phone calls. While many MSS systems require the use of cell phones that are specifically designed to be compatible with that MSS unit, most MSS systems act as any cell phone tower and simply forward calls to the nearest tower. MSS units do this by creating extremely high frequencies that can be broadcasted across large distances and can, therefore, be used to make and receive calls from anywhere in the world. Military personnel and other individuals who frequently travel abroad commonly use MSS systems. MSS systems can be mounted on mobile aircraft or Humvees and used to maintain communication within a village or warzone. Likewise, individuals who frequently travel in and out of cell phone reception areas can use MSS systems. Such individuals include those who are traveling across the country and wish to maintain signal. MSS systems are advantageous because they can be used anywhere in the world and can maintain constant cell phone reception for a number of cell phones in the area. MSS systems are also relatively inexpensive and do not require a license to be purchased. 262 queries in 0.320 seconds.